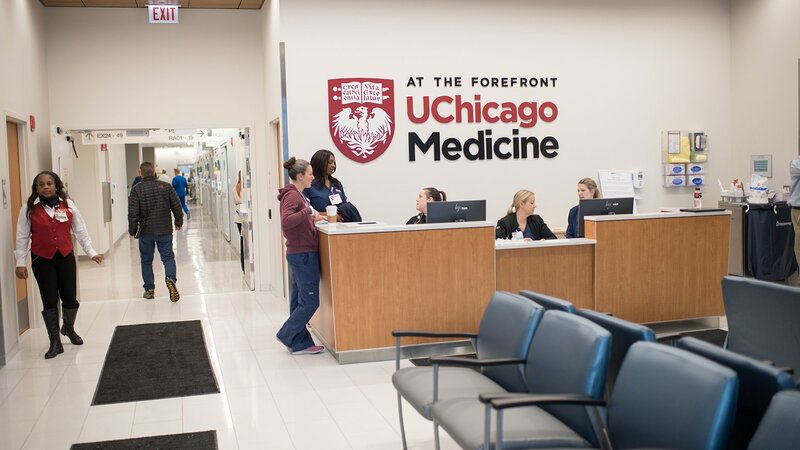 It’s been nearly two months since the May 1 opening of the Trauma Center at UChicago Medicine, and its director says things are running smoothly. “It’s as busy as expected to be, and as well as we can expect early on,” said Dr. Selwyn Rogers, who also serves as professor of surgery and chief of trauma and acute care surgery. He said the trauma facility saw 292 patients in its opening month. From June 1-25, the center has seen 200 patients. That’s about 10-11 patients per day. It’s been nearly 30 years since Chicago’s South Side had a trauma center. The last one, the Michael Reese Hospital trauma center in Bronzeville, closed in the early 1990s. But as a level one trauma care facility, the center is also working on developing services beyond the physical; Rogers said a fully operational violence recovery program, with specialists who conduct psychological first aid, is still in the works. That type of aid includes counseling services for patients and families who suffer from trauma. “We have parts of it already functioning, but a lot of it is partnerships with the community, faith-based organizations, and a lot of those are evolving,” he said. Rogers said the need for psychological recovery was a theme he noticed while engaging with members of South Side communities at town hall meetings, community health centers and churches. He said the 20-member Community Advisory Council was formed to help with that need and is tasked with providing feedback and input for hospital staff. The group comes out of the UChicago Medicine’s Urban Health Initiative. Rogers joins us tonight to discuss the trauma center’s progress.